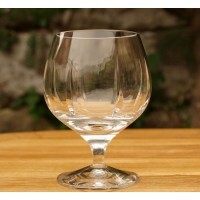 Box of 6 brandy glasses. Sophia Collection. Box of 6 brandy glasses. Sophia Collection. 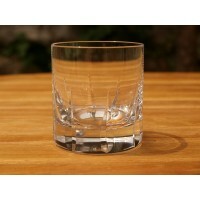 Hand-engraved crystal with light cuts to emphasise the form of the glass. Volume 25cl. Size 10cm. Blown and engraved by hand. Box of 6 water glasses. Sophia Collection. Hand-engraved crystal with light cuts to emphasise the form of the glass. Volume 34cl. Size 21.5cm. Blown and engraved by hand. 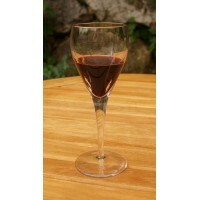 Box of 6 red wine glasses. Sophia Collection. Hand-engraved crystal with light cuts to emphasise the form of the glass. Volume 27cl. Size 20cm. Blown and engraved by hand. 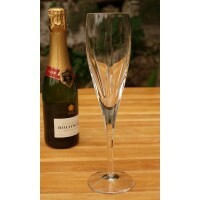 Box of 6 Champagne flutes. Sophia Collection. Hand-engraved crystal with light cuts to emphasise the form of the glass. Volume 20cl. Size 24cm. Blown and engraved by hand. Box of 6 whisky glasses. Sophia Collection. Box of 6 whisky glasses. Sophia Collection. 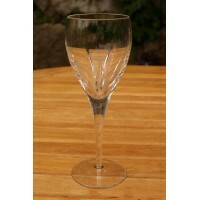 Hand-engraved crystal with light cuts to emphasise the form of the glass. Volume 30cl. Size 9cm. Blown and engraved by hand.